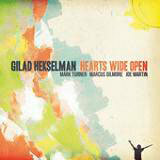 Jaunty whistles that open and close Gilad Hekselman’s latest “book” frame a rich ride through modern, melodic jazz. Organized like a novel, absorbing as a love story, guitarist Hekselman’s third album runs deep. Hekselman, who moved from his native Israel to New York in 2004, specializes in eloquent single-note lines, leavening them occasionally with fat, shimmering chords. His style spans the busy, boisterous “Hazelnut Eyes,” the blues-funk of “Brooze” and the romanticism of the title track. While Hekselman occupies the spotlight, his bandmates are fully involved. 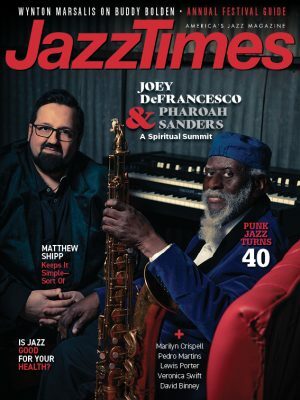 Mark Turner’s saxophone goes brawny and insistent on “Brooze,” then cries and exhorts on the title track; drummer Marcus Gilmore, a cymbal expert, ripples on “Will You Let It?”; understated bassist Joe Martin points the way on “Flower,” a tune that launches delicately but ends snappy and sweet. This is a band of texture and nuance in which each detail accretes toward a song’s arc. If at first some tracks seem watery, give them another listen; let them in. There’s a sturdiness to Hekselman’s tunes that makes him a multiple threat. Not only does Hearts Wide Openshowcase a guitarist with unusual command of touch and dynamics (“Hazelnut” proves he’s fast, too), it establishes Hekselman as a writer fluent in a diverse, enthralling jazz vocabulary.